Learn Chinese Songs: 哇... 我得奖了!! WOW...I Got an Award!! 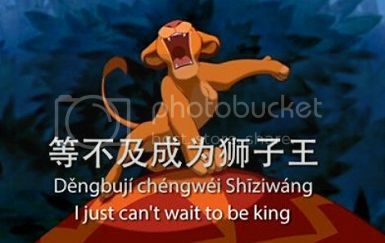 WA ... wǒ dé jiǎng le!! 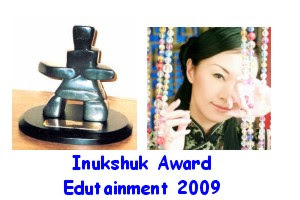 What a surprise to me that the #1 Canadian Blog has given me the Inukshuk Blog Award for Edutainment 2009! Please click the image or the link above to check what the award is about. Thanks to all of you who are supporting me and encouraging me. I will keep doing my best to make this blog better and better! Practice the words I shout out in this post: CLICK HERE and hit the brushes next to each character to see the stroke orders. Grab a piece of paper and write them down. 恭喜 恭喜 恭喜 gōngxǐ CONGRATULATIONS! I think you really deserve the award. I like your posts. You put a lot of work in it to make learning fun. Hey, I am very proud of you!!! Keep going! Wish you all the best in the coming year! Thats Fantastic Jeannie!! I am so pleased for you..sharing this page now!